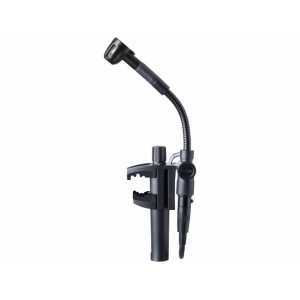 Micro Microphones - Akwil Ltd.
Micro Microphones There are 6 products. 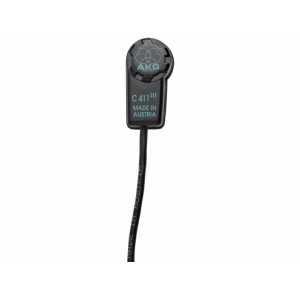 The C411 is a miniature vibration pickup for acoustic guitar, mandolin, violin and most other string instruments. Its integrated condenser capsule will reproduce the sound of the instrument clearly and without coloration. The C516 ML professional miniature instrumental microphone, part of the MicroMics family, is designed for use on accordions, pianos, guitar speakers and keyboard/organ cabinets. The C518 professional miniature clamp-on microphone is the ultimate tool for recording of drums and percussion. The C518 professional miniature clamp-on microphone is the ultimate tool for recording of drums and percussion. Its cardioid polar pattern rejects overspill from nearby instruments. Do you have a question about one or more of our Micro Microphones products? Click below to contact us.